According to AARP, six in ten Americans do not have a last will and testament. This startling figure means that the vast majority of Americans do not have their affairs in order should they unexpectedly pass away. With statistics like this floating around the internet, more and more Americans are opting to complete a will online. Individuals who complete online wills are often not fully aware of the implications of the decisions they are making and often make wills that create unintended consequences. It is imperative that you consult with an experienced will and probate attorney prior to completing any will or trust documentation. Any mistake in your will can cause great complications and expenses for your loved ones down the road. The primary purpose of your will is to state how you would like your property and assets handled and distributed after you pass away. This prevents disputes from arising between family members and stops assets from being transferred to the state in the event that no heir can be identified. 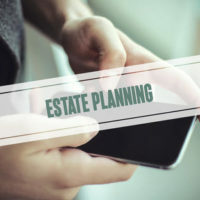 The person that is expressing their wishes in the will is known as the “testator”, while the person who is granted the power to manage the will is known as the “personal representative” or “executor”. Certain states permit oral wills where the person creating the will verbally speaks their last wishes, and other states permit wills written entirely in the handwriting of the testator without it being signed. However, Florida law does not allow either of these. Naming a representative who will ensure that your wishes are properly executed. Once you have worked with your attorney to ensure that your will adequately adheres to Florida law, you are now ready to sign your will. At this point, you will need two witnesses to sign your will attesting that they saw you sign the document. (While Florida law does not prohibit it, it is preferable that anyone named in the will as a beneficiary not sign the will as a witness.) You may also want to have your witnesses sign a self-proving affidavit. This is a sworn statement that is notarized and affirms that the legal formalities for the signing and witnessing of your will were observed. The benefit of doing this is to eliminate the need for your witnesses, who may no longer be available, competent or capable of being found,from having to either sign an affidavit or appear at probate court to acknowledge the validity of your last will and testament. While you do not need a lawyer to create a will, the complexities of wills are endless. Completing a will in an online format may not achieve your desired results. Speaking with an experienced Florida will and trust attorney can prove to be invaluable as you work to secure your family’s future. At Moran, Sanchy & Associates our will and trust team has the skill to ensure that your last will and testament is properly drafted. Do not leave your family’s future to chance; call 941-366-1800 for a confidential evaluation.